The machine-list file identifies all of the machines on your network that can be allowed to batch process Harmony files. The machines on this list represent the render farm. 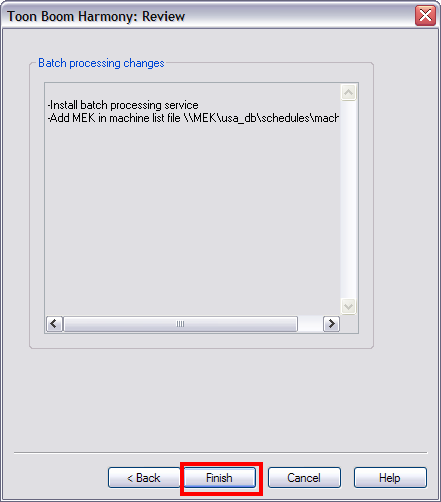 You must have sufficient batch processing licenses to run batch processing on all of the machines in the machine-list file. 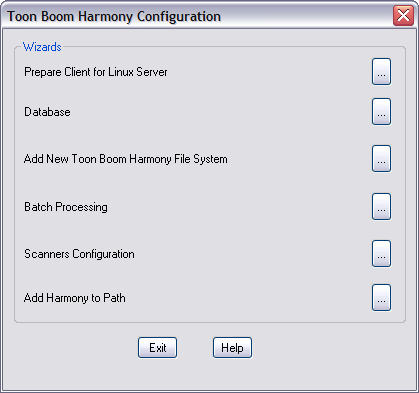 ‣ On Windows: Click the Start menu and select All Programs > Toon Boom Harmony 10.3 > Tools > Configuration Wizard. 1. 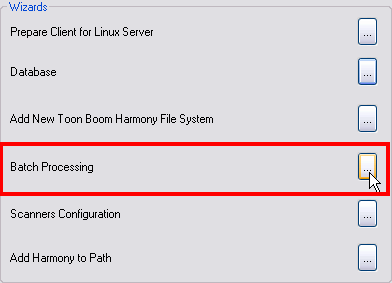 In the Wizards section, click the Batch Processing button. 2. In the next window, you are asked if this machine will do batch processing. Select Yes. 3. Click on the Next button. 4. In the What is the Name of the Server field, enter the name of the Harmony server. 5. In the What is the User field, type the server's username (OS account) created while setting up the Harmony database. The machine you are setting up will use this username and password to log on the server machine and retrieve the data to render or vectorize. 6. 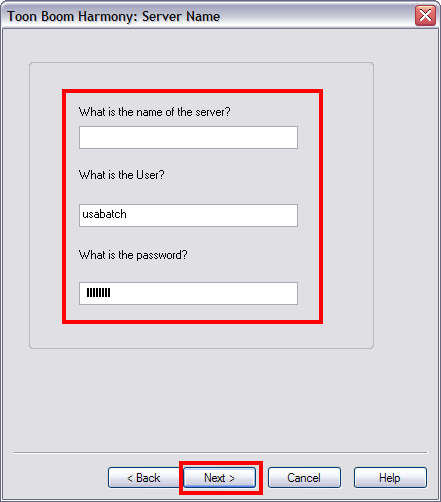 In the What is the Password field, type the password corresponding to the selected username. 7. Click on the Next button. 8. 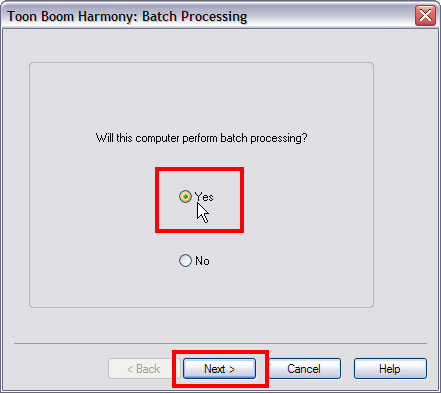 The Harmony Configuration wizard presents a review of all the changes that it will make. 9. Click on the Finish button to complete the process. 10. A dialog box appears to indicate if the configuration process has been successful.